I was sorely tempted to gloss over mps, because I mentioned mps-youtube way back in September. But I’ve spent a short time with it and I think it’s worthy of mention in its own right. mps sticks very close to mps-youtube in terms of operation and playback; enter a search term at the startup and mps will show a series of results. 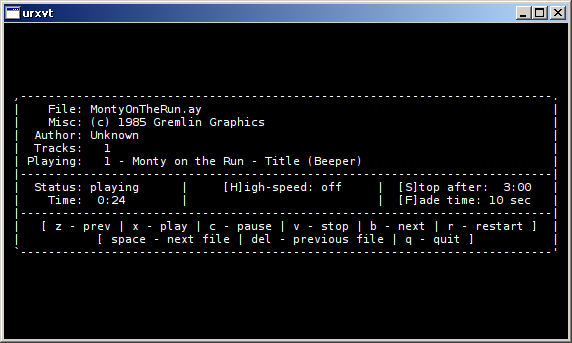 Cue the number of the track and mps feeds it into mplayer (or mpv), and the standard keys and controls are available to you. The home page for mps suggests it can also create playlists, search for single tracks or through album lists, download tracks as well as stream, and a few other nifty tricks. 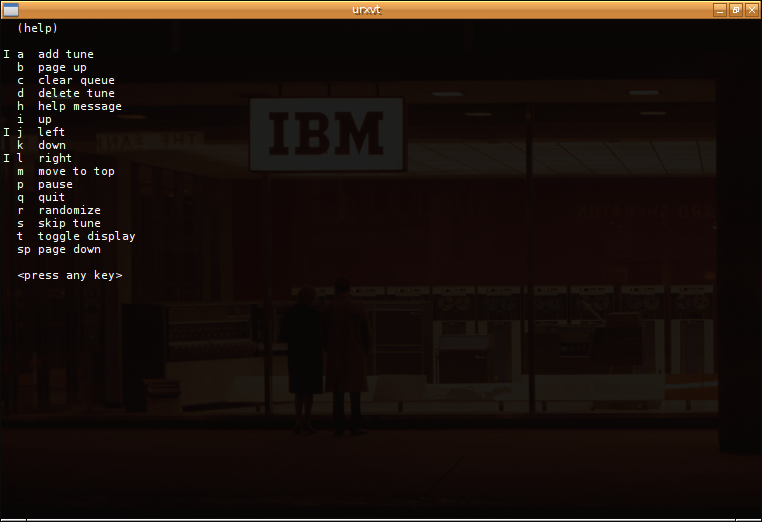 The home page also says the program works with python 2.7 and 3.3, but does not require any python dependencies. I’m a little fuzzy on that, but as a general rule of life, I subscribe to the principle that less dependencies is better. This entry was posted in Linux and tagged audio, client, download, music, player, search on 2014/12/28 by K.Mandla. At the absolute minimum, you could expect to get sound playback out of your computer simply by tacking on file names and a few oddball flags to something like mpg123 or sox. It’s not ideal, and it lacks the grace and dignity of a proper console application, but it will work and there are plenty of similar tools that can do it. So even in a worst-case scenario, you have your tunes. In that sense, juke doesn’t offer a whole lot over those programs, either in terms of an interface or playback controls. In fact, juke is really only doing the tiniest bit over the bare minimum. juke takes on a two-screen approach that might remind you of cplay or its kin. By default juke starts in a browser mode, showing files that you can add to a playlist with “a”, or navigate with HJKL or arrow keys. Once you add a tune, it immediately starts playing. Press “t” to switch to the playlist view, and your navigation keys will again allow you to move through queue. If you need more help than that, press “h” and juke is kind enough to give you a rundown on key commands. There aren’t many to learn. I made the point about juke offering very little over a command-line playback tool because juke is really just a frontend for mpg123 or sox. So you might find that it’s only the tiniest improvement over tacking filenames on to those programs. juke adds a small layer of obfuscation as well. juke won’t start without a .juke.conf file in your home directory, but there’s no sample, and you need to copy-and-paste one out of the MANUAL file in the source tarball (it’s not terribly confusing). juke also seems to also require a target directory, in the same way as ksmp3play or muzikq. I won’t split hairs here: That style is obtuse for me, and all the more so since juke is prepared to navigate through directories to find music files. So why not just start in the directory where the executable was issued? juke is also not particularly beautiful, and aside from tagging files with a “q” when they are added to the queue, not a whole lot happens visually. juke has two small positive points that I can find: It’s written in C, and that means it’s fairly light. Neither of those makes up for juke’s extremely lackluster performance though. If you clicked on the link above, you already know the home page 404s. 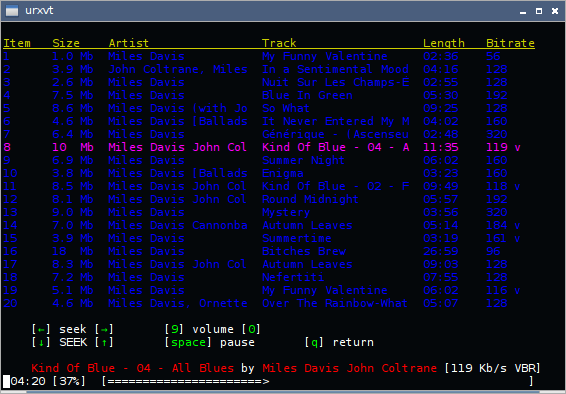 The source code for juke is in the Debian repos, and I was able to build it in Arch and use juke without issue. Oddly, the Debian rendition would install through the Mint repos but wouldn’t play back any sounds for me. This entry was posted in Linux and tagged audio, client, music, player on 2014/12/24 by K.Mandla. I never had a ZX Spectrum. I never had a *00-series Atari computer either. I spent my formative years in front of a C64, as I have oft mentioned, and so a lot of the developments or innovations on other hardware is a little lost on me. I can appreciate attempts to preserve the musical artistry of a generation or architecture though, so aylet is interesting to me. So if the genius of the General Instrument AY-3-8910 sound chip escapes my appreciation, aylet is still fun to work with. This might look a little like stymulator to you, and that was the first thing I thought of when I saw it. I didn’t take the time to dig through the history of aylet and stymulator, but it may be that they share the same author or code tree. Key controls are on the screen, with switches for track control and a few other options. aylet may not be as visually attractive as some other players, but it knows its audience and does not disappoint. This entry was posted in Linux and tagged audio, client, music, player on 2014/12/15 by K.Mandla. I think I might have mentioned in the past that I have an amazing, amazing lack of musical ability. I count myself lucky in some other departments, but talent with music is not one of them. So I’m going to take it on faith that when bpm-tools tells me there are 94.196 beats per minute in Revolution Void‘s “Invisible Walls,” it’s telling the truth. I don’t have any real reason to doubt bpm-tools, even if the home page is a little vague on the exact formulas used to analyze a particular track. I’m sure if you dip into the source code, all will be revealed. Of course, even knowing how it goes about its calculations wouldn’t do me much good, since tempo analysis is probably something that … well, requires knowledge about … music and … stuff. Which I have already admitted I don’t have. 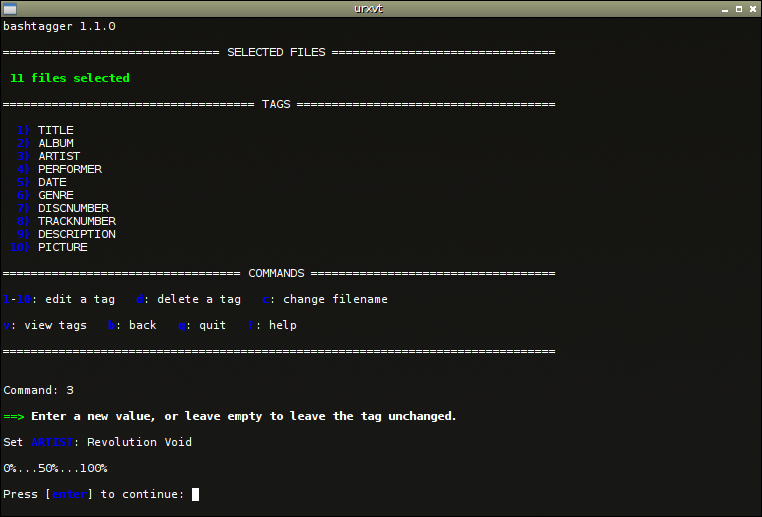 bpm-tools includes the bpm executable, and comes with a tagging utility so you can insert the results of the bpm executable into a file, for future reference. If you moonlight as a DJ from your Linux admin job, it might make things easier when looking for interlocking tunes. bpm itself built perfectly for me in Arch, and I only touched up the bpm-tag script so it would access the executable in the same directory. 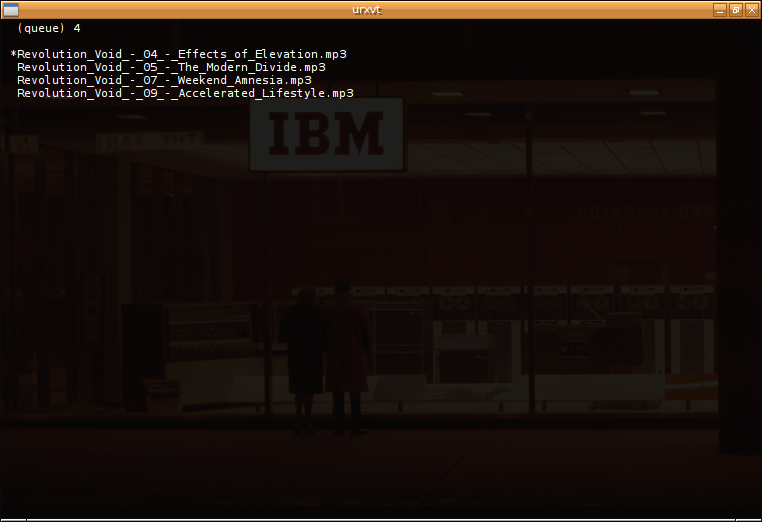 Other than that, bpm-tools was a completely hands-free experience. 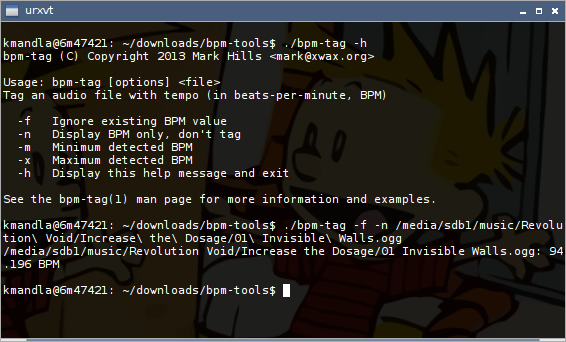 bpm-tools is in Debian for Jessie. 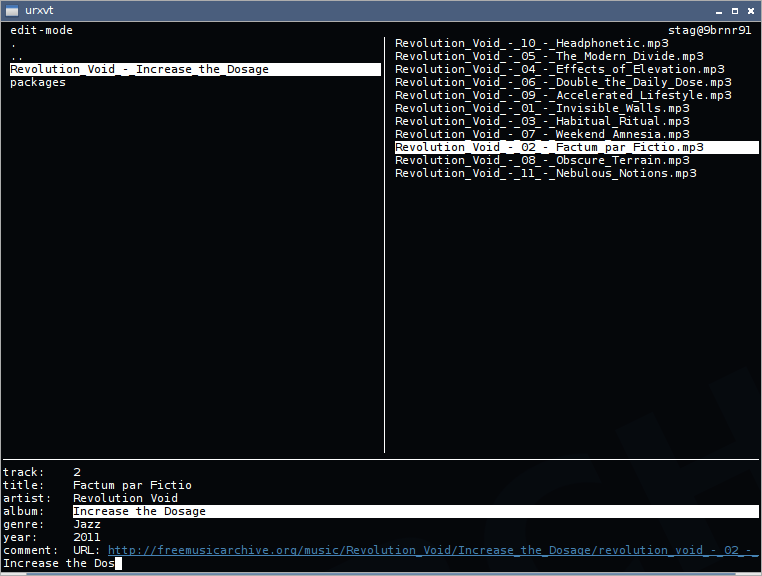 There is a PKGBUILD in AUR that will hold your hand while you build bpm-tools, but doesn’t seem to take into account that sox is necessary to make it run. And if you want to draw on the tagging feature, you’ll need the appropriate library to support that (vorbis-tools for ogg files, just so you know). This entry was posted in Linux and tagged audio, beat, calculator, minute, music on 2014/12/11 by K.Mandla. I have spoken previously on my lack of musical skill or talent, and it has come back to haunt me again with cuse. cuse is a midi sequencer written completely in ncurses, with a fantastic colorful interface, drop-down menus, load-and-save functions, horizontal scrolling on playback, pop-up dialog menus, a slew of track functions and specific controls … almost all of which is completely lost on the vulgar, like me. Add to that my meager luck with midi applications — I think timidity++ was the only thing midi-ish that has ever actually worked for me — and you can see why I should probably sit this one out. 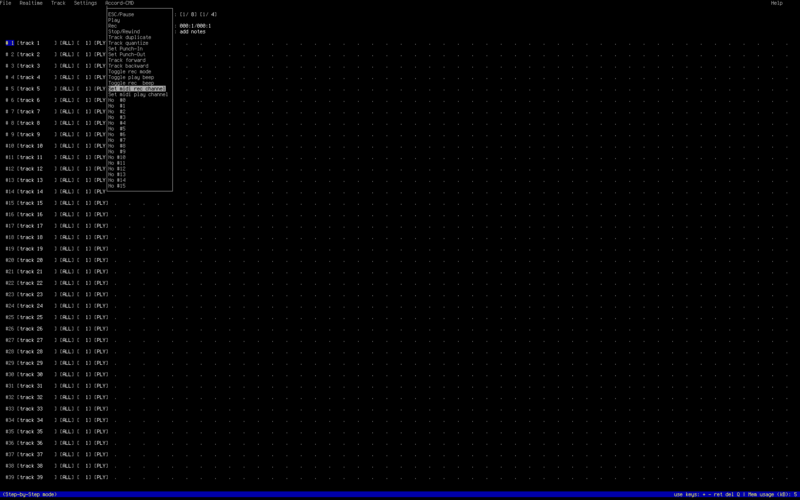 I’m impressed though, even if I don’t know what I’m doing with cuse, or how to use it properly. If you have more experience with it or can offer some basic advice to a noob like me, I’d be happy to get it. cuse is in AUR and will require libcdk as a dependency; the cdk version I got out of AUR was out-of-date, but just needed a version correction and updated integrity sums before it would build. cuse itself gave me no problems. This entry was posted in Linux and tagged audio, midi, music, sequencer on 2014/11/12 by K.Mandla.